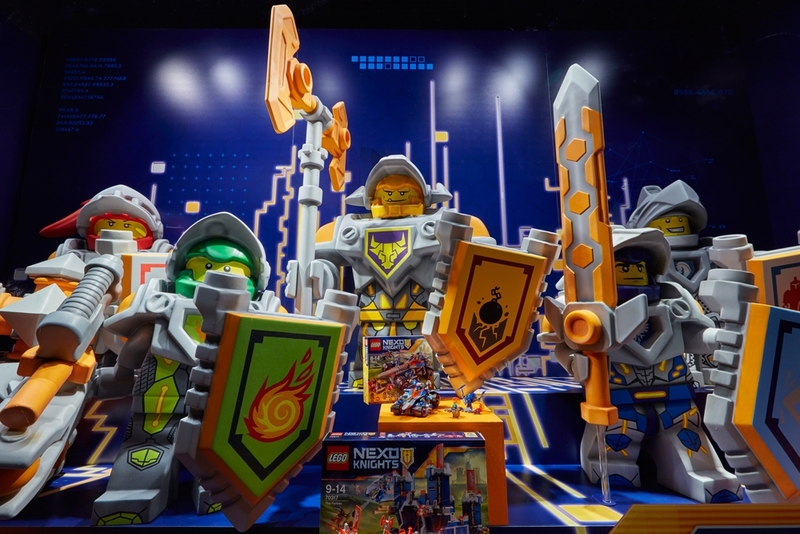 Entering the battle of the popular Lego Nexo Knights, Propability were responsible for creating a series of windows for Hamleys to promote the toy range. 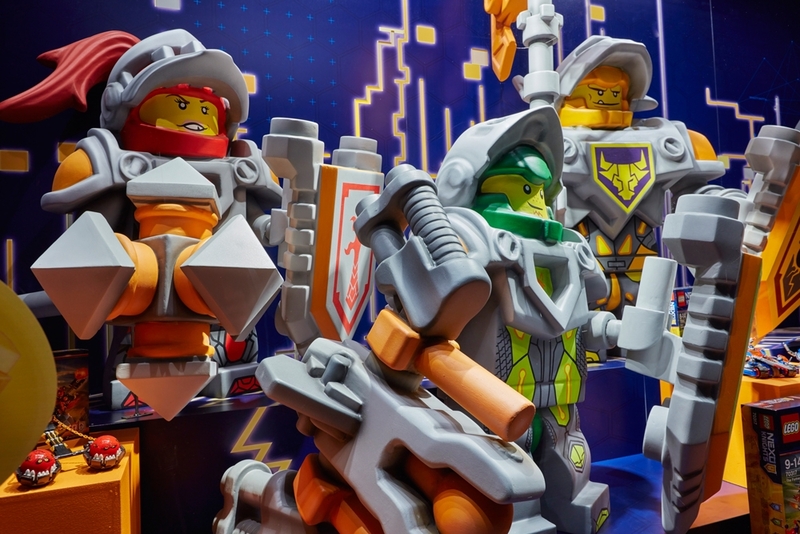 With artwork and 3D files supplied directly from Lego, the Propability 3D arm carved five scaled up replica models of the toys available in store. Covered in plaster for a smooth finish the sculpts were scenically painted with the expressions of the characters in pantone colours provided. Alongside the sculpts, weapons and five individual shields were created - hand sculpted and beautifully painted with every detail reproduced by in-house sculptors and scenic artists. In total the painting alone required over 115 hours of work. The printed back wall also includes a sequenced light effect - replicating electric circuits.